Documents show local officials were irate over the Red Cross’ poor response to the massive disaster. 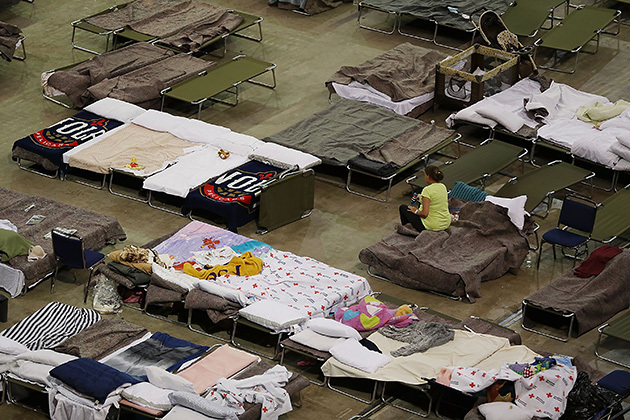 In August, the country’s worst natural disaster since 2012’s Superstorm Sandy hit Louisiana. Flooding killed 13 people and left more than 80,000 homes severely damaged. And once again, the American Red Cross’ response left local officials seething. People at one shelter had “no food or water for 24 hours over the weekend,” wrote the head of a local nonprofit eight days after the flooding began. “A woman gave birth with no medical assistance.” Another day, the shelter served only 195 meals out of 500 because Red Cross workers showed up late. State officials shut down the shelter after a week and local nonprofit groups say many area residents are still sleeping in tents, in mold-ridden homes or in their cars. At the largest Red Cross shelter, inside the Baton Rouge River Center, baby formula was in such short supply that volunteers paid for it out of pocket, state workers found. A truckload of formula was donated by a manufacturer and delivered to a temporary Red Cross warehouse nearby but was left unused for days. The stumbles are part of a long pattern of problematic Red Cross responses to disasters. 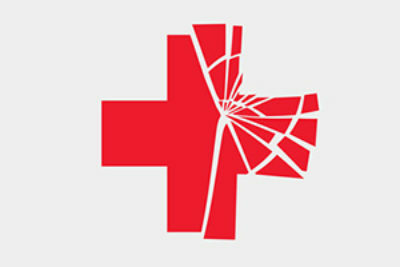 As ProPublica has detailed, the Red Cross has sharply cut back on local chapters and staff during CEO Gail McGovern’s decade-long tenure. In a September letter to the government, the ranking member of the U.S. House Committee on Homeland Security said the charity’s “poor performance in disaster response activities across the country has called into question Red Cross’ ability to meet its responsibilities.” And the charity’s troubles in Louisiana this August are similar to complaints aired by local parish officials during a separate round of flooding in March. In response to questions about its August relief efforts in Louisiana, Red Cross officials blamed its performance problems mostly on the inherent difficulty of the situation. After Louisiana officials complained, the Red Cross reached out to 64 parishes to plan for the next potential disaster and set up meetings with officials in the governor’s office, promising swift and sweeping changes. The Red Cross said it would “ensure that no persons seeking shelter will be denied a safe place to stay.” The charity is scheduled to meet with state officials today. Top Red Cross officials were clearly stung by the public criticism from state leaders. After a Baton Rouge Advocate article highlighted problems at shelters and quoted the governor’s spokesperson, McGovern wrote to the governor’s chief of staff, saying they “were very concerned” about the story. Red Cross officials privately acknowledged stumbles to state officials. “We are focusing the challenges we’ve had into 4 major buckets: Readiness and Planning, Staffing and Leadership, Communication, American Red Cross Procedures,” wrote Kay Wilkins, the regional director for the Red Cross. The Red Cross was chartered by Congress in 1900 and has an official role to work alongside the government after disasters. It is still the charity of choice for many companies and officials after disasters and has collected about $25 million in donations. The Red Cross has asked for at least $35 million to cover the costs of sheltering and feeding those who have been displaced in Louisiana. That same day, documents show the Red Cross was too understaffed to handle the largest shelter it was supposed to be responsible for, the 10,000-person Baton Rouge River Center. Marketa Walters, secretary of the state’s Department of Children and Family Services, wrote that state officials had “hoped Red Cross would be ready to assume leadership today…However, ARC did not have enough staff for the transfer of authority.” The Red Cross did not take over the shelter for another six days. 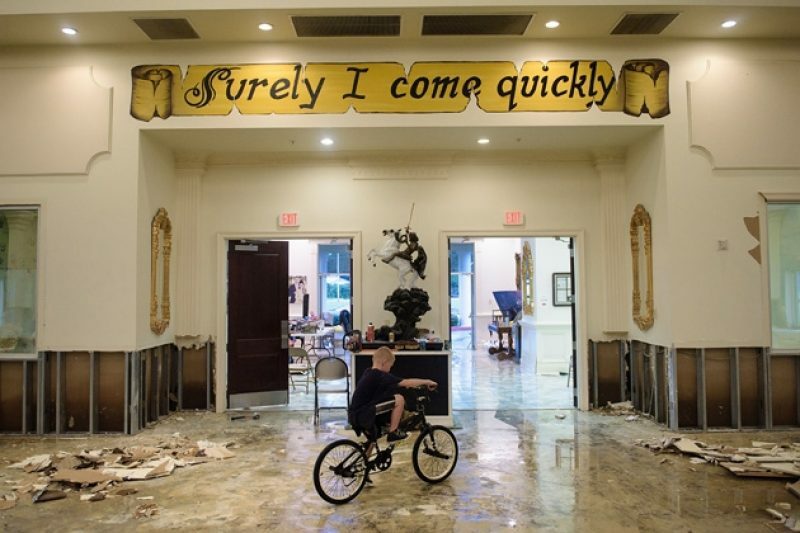 We’re reporting on how one of the country’s most venerated charities has failed disaster victims, broken promises and made dubious claims of success. See the series. Update, Oct. 4, 2016: The ranking member of the U.S. House Committee on Homeland Security, Rep. Bennie Thompson, D-Miss., has asked the Federal Emergency Management Agency to investigate the Red Cross’ performance during the Louisiana floods in August. All of the emails and documents obtained by ProPublica regarding the Red Cross and Louisiana flood response can be found here.